Capps wide selection of brick materials is made even stronger by the incomparable Pine Hall Brick product line. 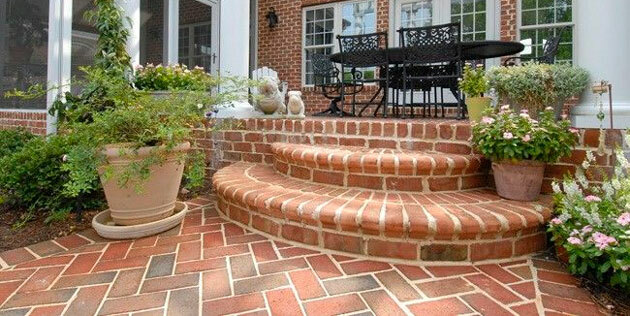 Joining our lineup of impeccable brick manufacturers is this well-established brand. Since 1922 Pine Hall has been hand-crafting earth friendly brick materials suitable for any home or business project. Reliable, sturdy, and incredibly durable Pine Hall’s products are superior in nearly every way. Pine Hall offers three distinct brick product lines. These include Facebrick, Pavers, and Permable Pavers. The Pine Hall FaceBrick series includes a wide variety of brick veneers. Featuring unique textures, shapes, and colors FaceBrick is perfect for adding a bit of flair to the exterior of your home while maintaining ultimate functionality. Capps carries each item in Pine Hall’s FaceBrick Series. Pine Hall’s paver series is well liked and used by the industry’s leading landscapers and architects. Additionally, their do-it-yourself clay materials make it easy for homeowners to create gorgeous patios or sidewalks in no time. The Permeable Series from Pine Hall is a sustainable alternative to conventional brick pavement. Using environmentally friendly materials that support proper water flow, the permeable brick series is perfect for sustainable projects around the home or for commercial business builds. Distinctive patterns, sustainable materials, and exceptional quality are the foundation for Pine Hall’s product series. Their dedication to premium brick materials positions them as an innovative manufacturer within their industry. Their products add not only functionality but also an appealing selection of colors and styles for residential exteriors. Have a Question About Pine Hall Brick? To learn more about the Pine Hall brand or the products that they offer, drop in to Capps Home Building Center. There you will find home building professionals who will gladly help you sort through Pine Hall’s premium products and offer helpful suggestions for your project.